Princess Fairytale Flakes was a lightly sweetened corn flakes cereal that featured Disney's Cinderella and Snow White on the front of the box. Bringing great taste and nutrition together at a price moms will love, General Mills and Disney Consumer Products introduce three new Big G cereals: Disney's Little Einsteins Fruity Stars, Disney's Princess Fairytale Flakes and Disney's Mickey Mouse Clubhouse Berry Crunch. All three cereals offer a good source of whole grains, calcium and vitamin D, and all meet Disney's food guidelines for ready-to-eat cereals. "These new cereals make it easier for moms to give their kids a nutritious start to the day at an affordable price," said Kerstin Peterson, marketing manager, General Mills. "With great taste and nutrition - and the appeal of Disney's characters - these cereals will make breakfast fun for everyone." Only one in 10 kids gets the recommended daily servings of whole grain and only four in 10 kids get the daily recommended amount of calcium in their diets - a breakfast of cereal and milk can help. Big G's Disney cereals provide at least 8 grams of whole grain per serving (at least 48 grams recommended daily) and 10 percent of the Daily Value of calcium. These cereals comply with Disney's food guidelines for Disney-licensed cereal products, which allow Disney characters to appear only on kid-focused products that meet certain requirements, including limiting the amount of calories, fat, saturated fat and sugar. "Disney is in a unique position to help make nutritious products appealing to kids," said Lance Gatewood, vice president of Food, Health & Beauty for Disney Consumer Products, North America. "These new Big G cereals are a great example of how Disney can work with food companies like General Mills to make breakfast easy, fun and wholesome for moms and kids." With three different kinds of flavorful crunchiness, Big G Disney cereals offer something fun for every kid. Disney's Little Einsteins Fruity Stars cereal is on a mission: all the Little Einsteins need is a little help from kids' spoons to achieve their mission of delivering a nutritious, delicious breakfast cereal. 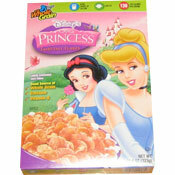 Disney's Princess Fairytale Flakes, lightly sweetened, crispy pink corn flakes offer a fairytale beginning to every day. And Disney's Mickey Mouse Clubhouse Berry Crunch invites kids to enjoy a magical, nutritious breakfast with a lightly sweetened, fruit-flavored cereal. 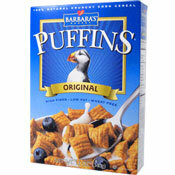 Each variety sells for a suggested retail price of $1.99 per box. In addition to making a nutritious breakfast easy and delicious, Big G Disney cereals will help kids learn how to fuel themselves with good nutrition all day long. The back panel of every box will be packed with fun nutrition information perfect for kids, like Mickey's color-coded food pyramid, and will direct kids to Disney's new "Healthy Kids" Web site http://www.disney.com/healthykids. What do you think of Princess Fairytale Flakes? Found it at the Dollar Tree twice and they were very good. Kids liked them. I tried them and liked them myself but haven't seen them for a couple years. Princess Flakes we me and my sister's favorite for one summer and then we couldn't find it anymore. Bring it back! 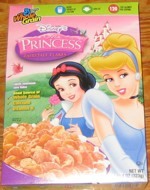 Where can I buy this cereal Princess Flakes?